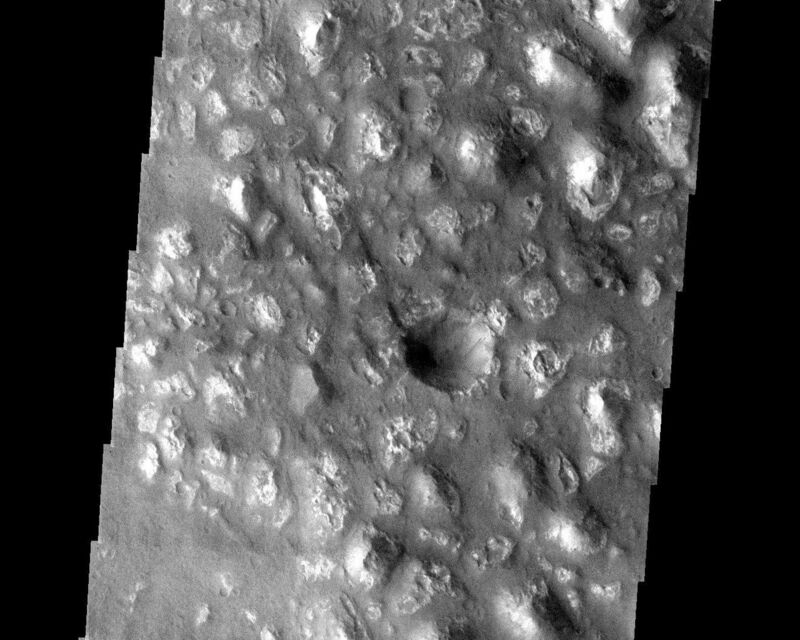 At first glance, this THEMIS visible image appears to show chaotic terrain similar to several other areas which have been shown on this web page in recent weeks. 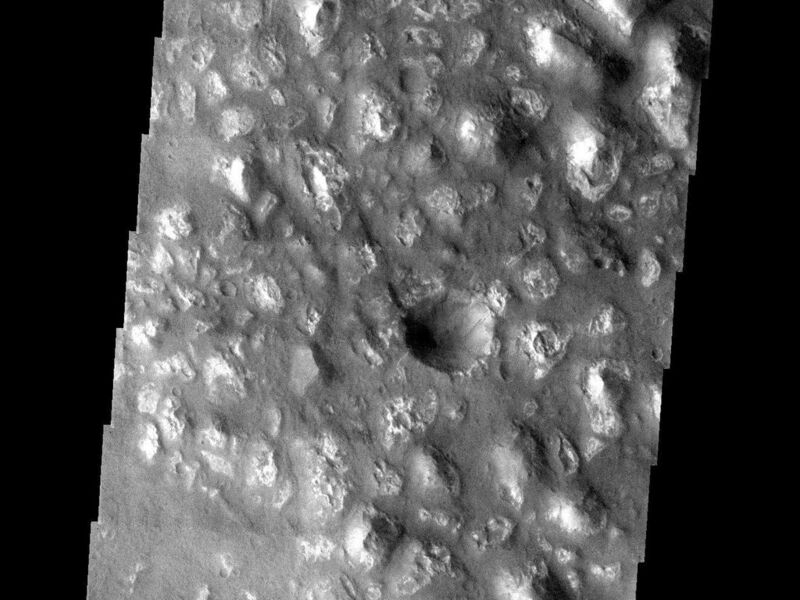 However, this knobby terrain is in the southern highlands and nearly 100 degrees of longitude away from the equatorial chaotic terrain related to the giant outflow channels in the northern hemisphere. 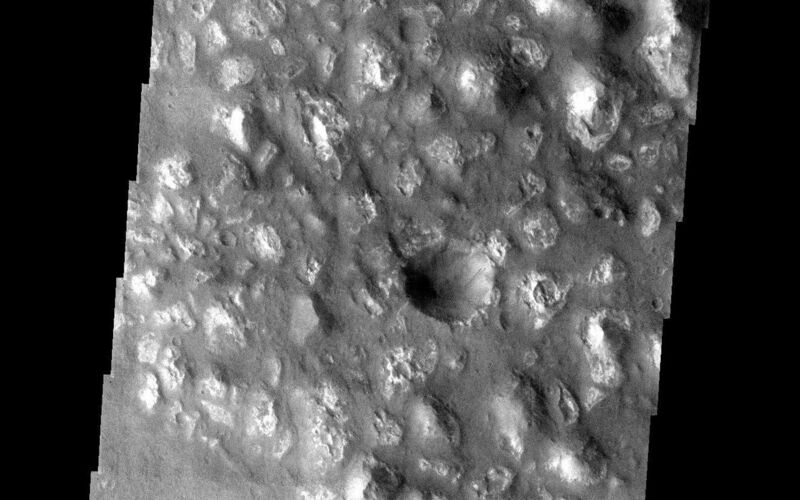 In addition, this knobby terrain does not seem to be inside of any kind of basin, like much of the chaotic terrain. What we may be seeing here are remnants of a rock layer that once existed but has been eroding away. It is important to note that this layer appears to have a higher albedo (visible brightness) than the surrounding terrain. This may indicate a difference in composition or grain size between the knobs and the surrounding terrain. Image information: VIS instrument. Latitude -37.3, Longitude 164.1 East (195.9 West). 19 meter/pixel resolution.